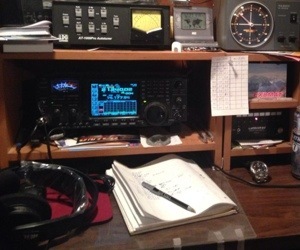 This afternoon I have had an invitation to operate from George, EX8MAT shack just outside the city center for what is my first ham radio activity from Kyrgyzstan. I made approx 340q on 15m in 2 hrs time and a dozen of qso on 20m, but condx were not optimal on 20..
Due to lack of time I ended after 14 UTC. Due to excess baggage I haven’t brought any own rtx nor antenna with me. So it a a casual operation from local ham shacks. Hope to be able to be qrv again and possibly on other bands. I will stay until 06 Jan 2014.